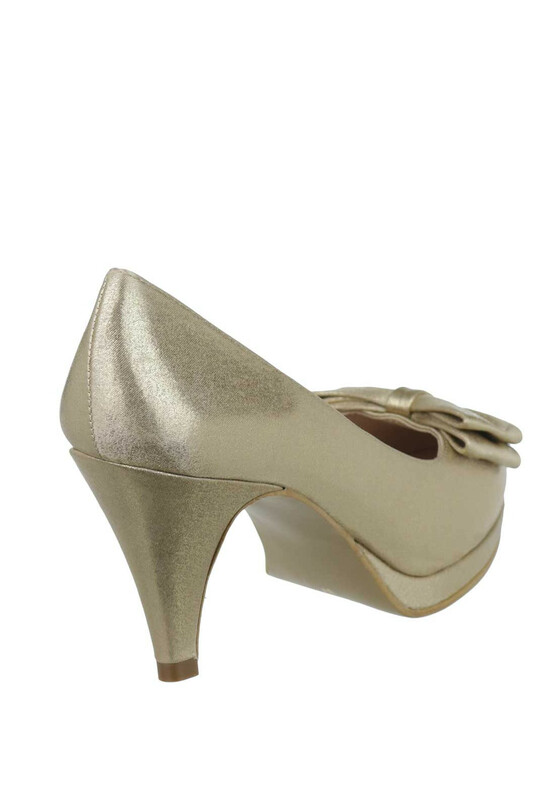 Glamour in a shimmering satin gold fabric from Spanish footwear designer Ana Roman. 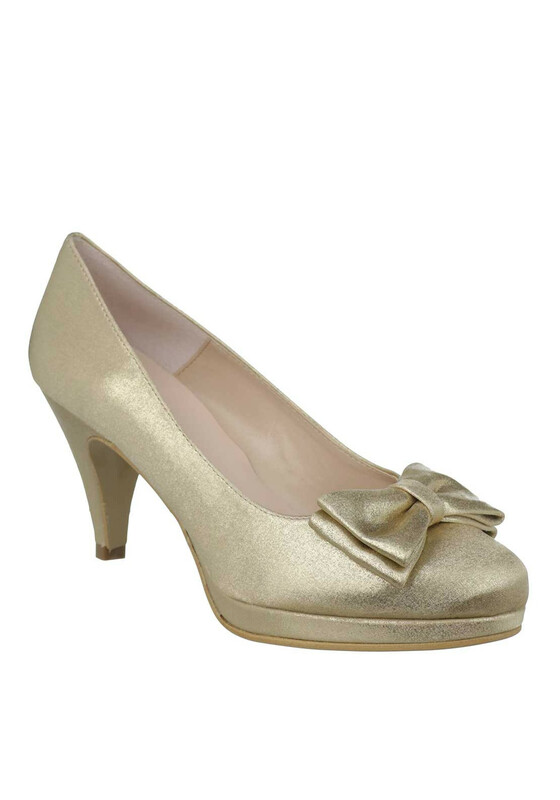 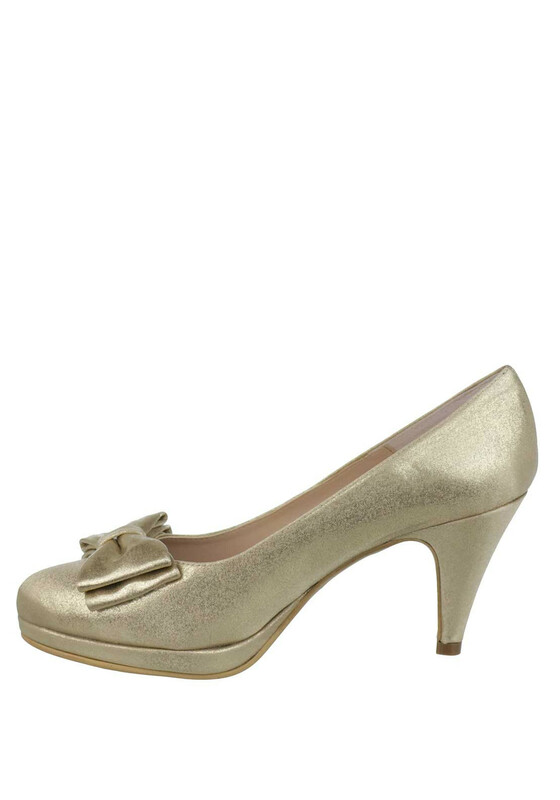 These soft pointed platform court shoes are featured with a pretty feminine bow on the front and has a tapered heel. 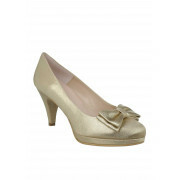 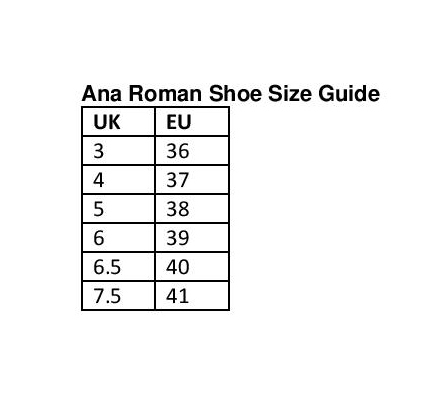 Finished with a lush leather insole they will look amazing with so many colours in your wardrobe.